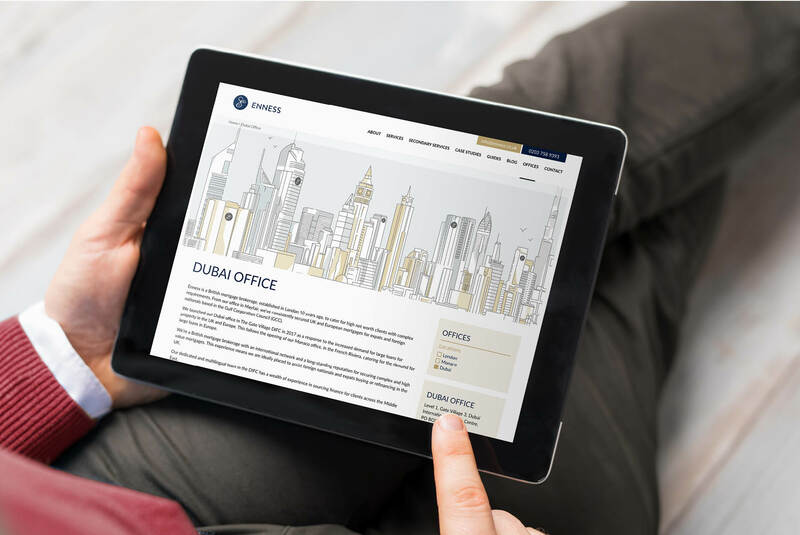 High quality financing solutions for individuals internationally, specifically for those clients with complex income structures or circumstances. 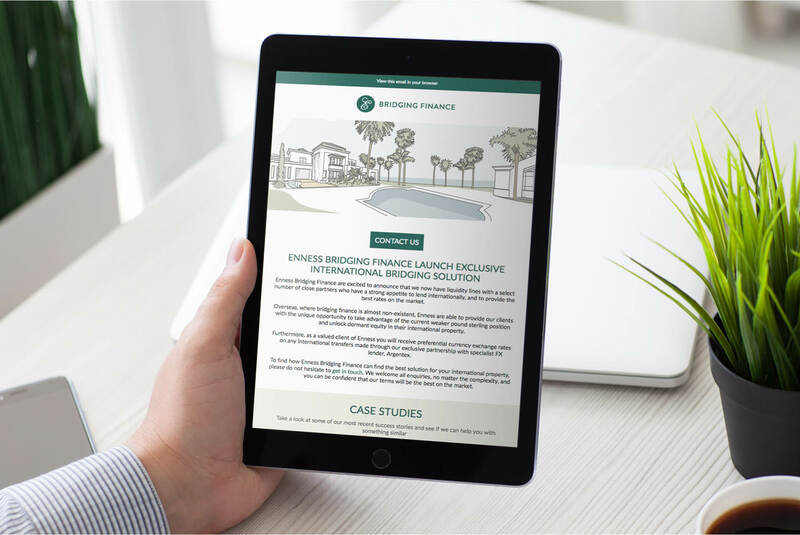 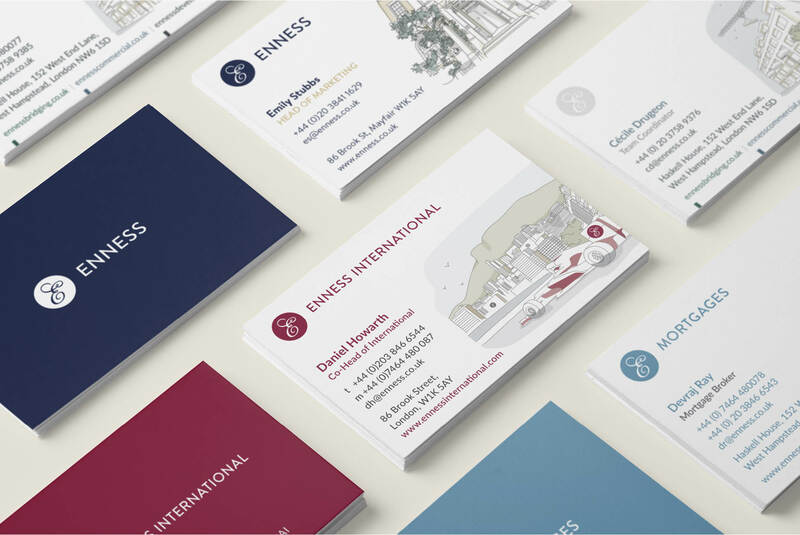 We conducted a full brand audit for Enness, before refreshing the brand with a simplified modernised logo, brand guidelines, website design, stationery and more. 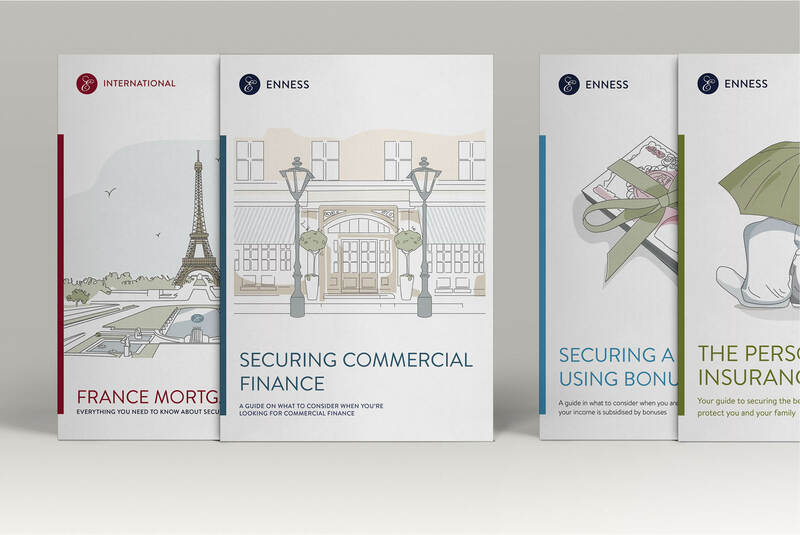 A key part of Enness’ unique branding is a bespoke illustration style that we created to compliment the branding, with ongoing rollout across collateral.